GIVN® Water, a socially conscious premium spring water brand that provides one day of clean water to people in need for every bottle sold, welcomes global executive Ryan Patel to its board of advisors. Patel recently served as the Vice President of Global Development for Pinkberry®, one of the fastest growing retail brands globally. Over his 5-year tenure, the company grew from less than 95 locations to over 270 stores in 23 countries. Ryan is a frequent keynote speaker at conferences and universities in the United States and around the globe. Speaking at prestigious events from London School of Economics to Osaka University, he is a strong believer in giving back to the community and paying it forward. GIVN Water is a premium North American spring water, sourced regionally local, and packaged responsibly. 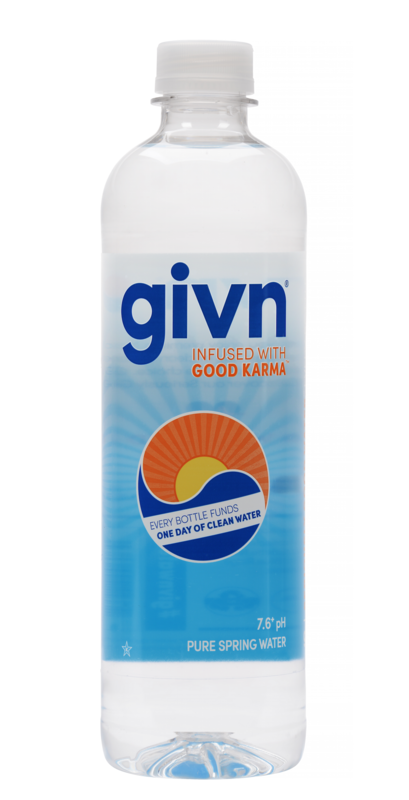 Every bottle of GIVN Water is Infused With Good Karma by providing one day of clean water for a person in need. GIVN Water is available on Amazon.com in retail stores across Illinois, Wisconsin, Georgia, Florida and coming soon to New York. GIVN is a social enterprise dedicated to turning everyday purchases into meaningful good. Launched in 2015 with flagship product GIVN Water, customers of GIVN Water have already funded more than 600,000 days of clean water to people in need throughout the world via the company’s partnerships with nonprofits like WaterIsBasic.org. GIVN Water is available in more than 300 retail locations across the United States. Visit givnwater.com for more information. GIVN® Water is a registered trademark of GIVN Goods, Inc.